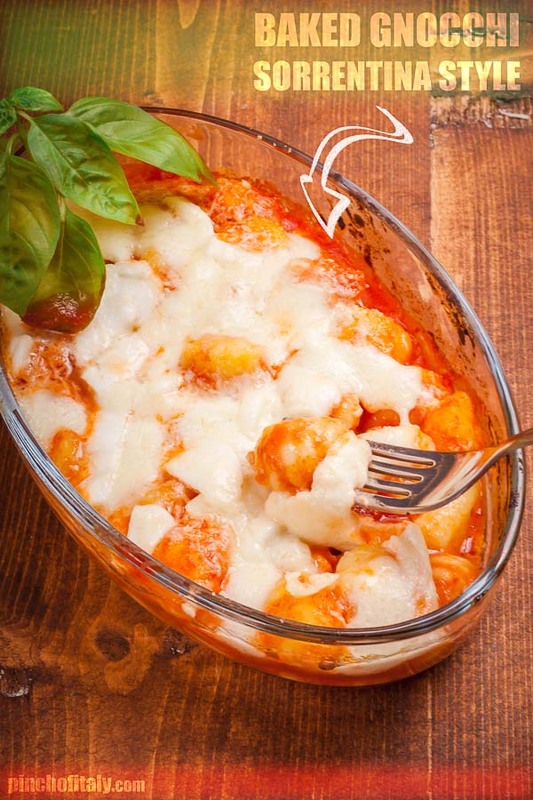 A real “ambassador” because you can find gnocchi in many Italian restaurants abroad, or easily make some homemade gnocchi like mine. If you are willing to give a try you won't be disappointed. My wife Miry is the real fanatic "gnocchi eater". She taught me how to make her loved sorrentina version. 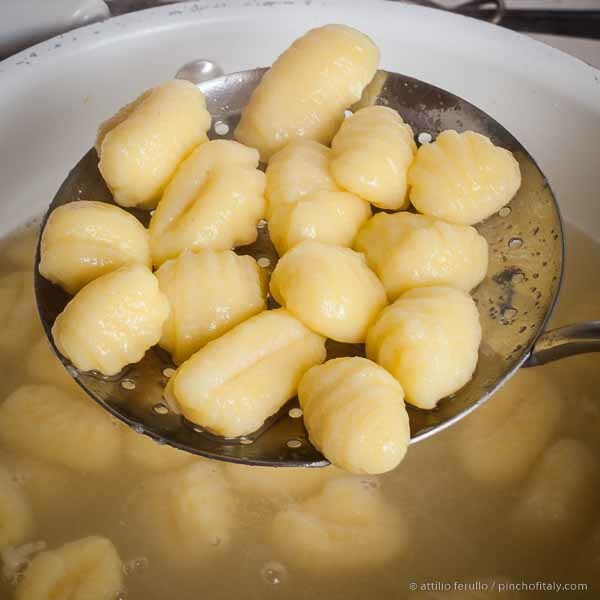 The cooking method is quite easy, depending most if you want to make fresh gnocchi at home or get them locally-bought. 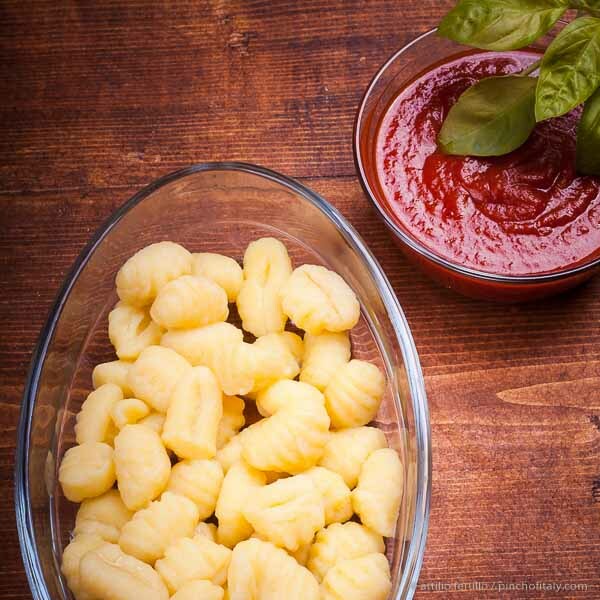 We do both, really depending on the available time we have, but we prefer them of course, homemade gnocchi. 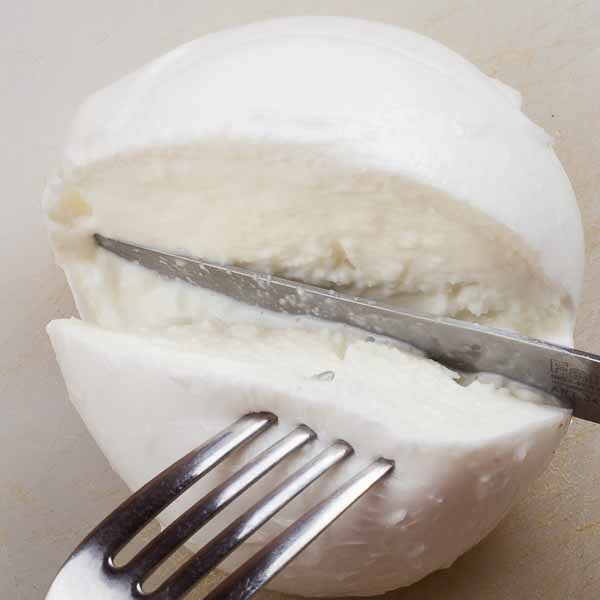 7 oz (200g) mozzarella cheese, of course buffalo mozzarella is better. Set about ½ gal. 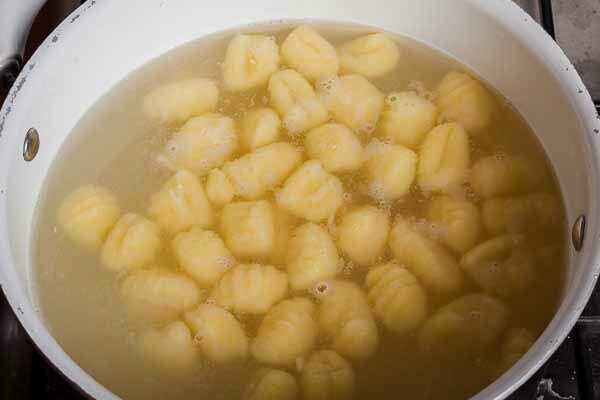 (2 lt.) of water in a pasta pot and bring to a boil. Once boiling add a generous pinch of salt and give it a stir. 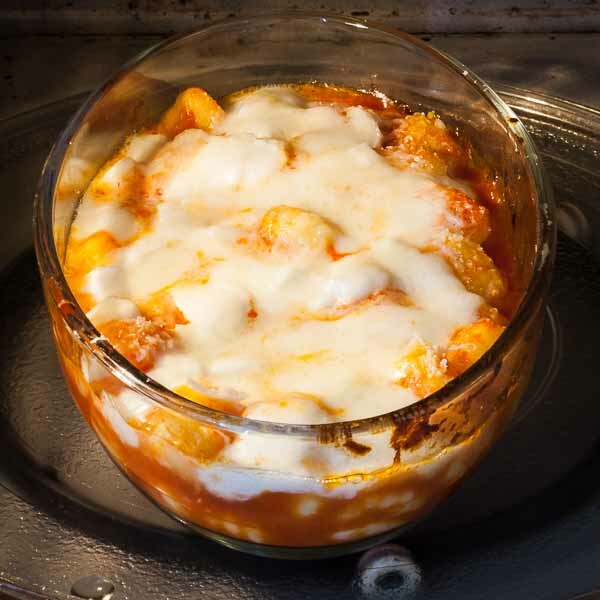 Carefully without burning, a bit at a time throw gnocchi in the pot. 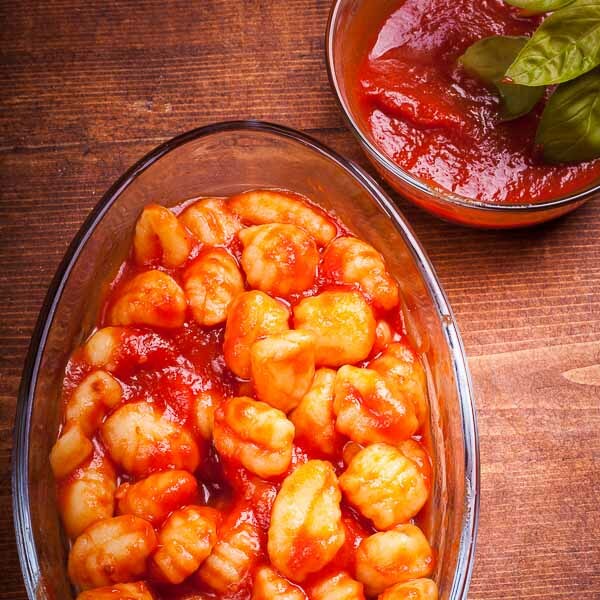 Gnocchi cook rapidly, just a few minutes, so once you see them floating move them to a baking dish. 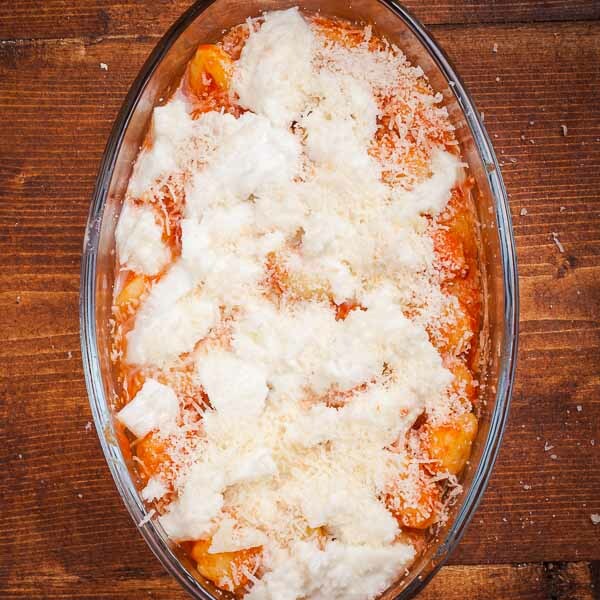 In the baking dish toss all the gnocchi with tomato sauce and cover with mozzarella and a sprinkle of parmigiano reggiano cheese. 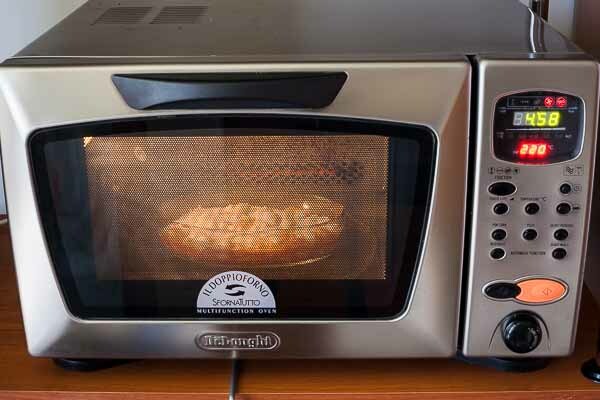 Bake at 425°F (220C°) for about 10 minutes until the cheeses are nicely melted. Serve hot and garnish with two or three fresh basil leaves. I would rather eat those leaves raw like on a caprese, but many south Italian families have the habit to put basil leaves directly in. She replays me ironically too: “Don’t mind darling, healthy stuff...”. There's nothing to do, between mouthfuls I have to move them out of my plate if we go the "Naples way". 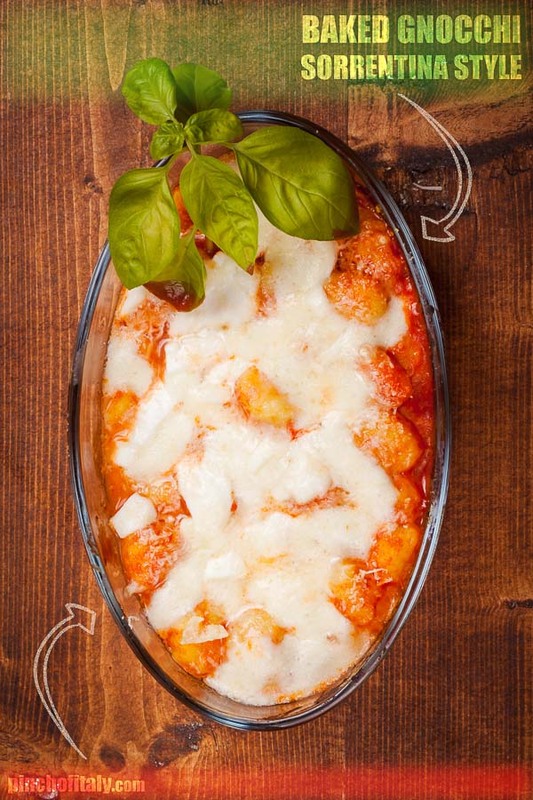 When I make baked gnocchi at home, I keep basil leaves out and use them just as a garnish. Plus I like to serve them in 4 single baking dishes. Yes, home sweet home. In the beginning I had to learn how to make fresh gnocchi, well yes, my first attempt was a total mess. But sure, I know that the only thing was to simply try and enjoy the time that flies away. 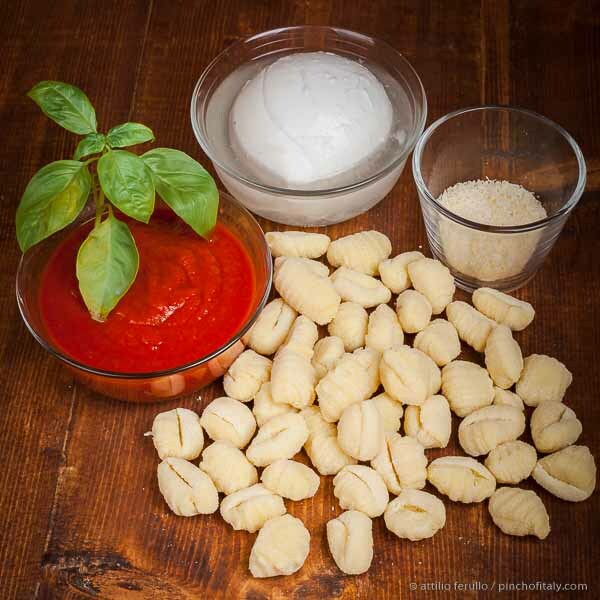 The rule is practice, practice, practice until you'll learn Italian cooking. Now I have a good grasp at making gnocchi and it’s just a matter of minutes for me. 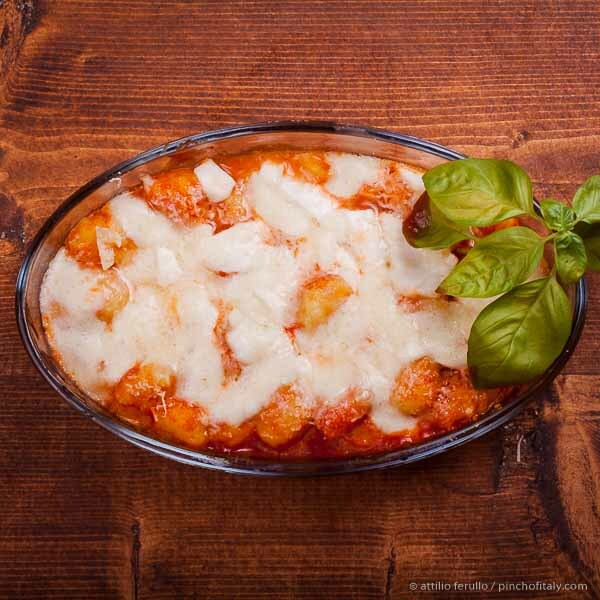 I’m proud because Miry now makes me a real order for baked gnocchi. Ops, but are we at a restaurant? 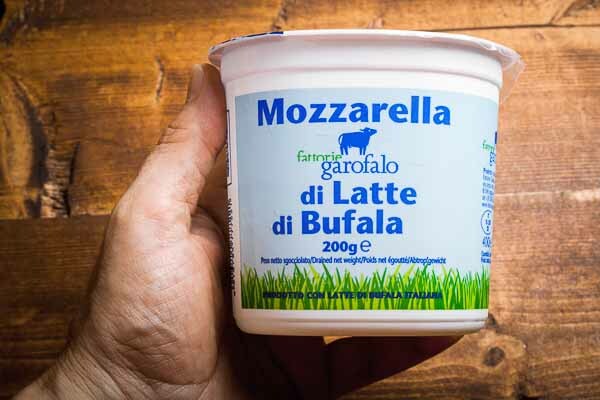 A different speech deserves “mozzarella di bufala”, you can’t miss this type of mozzarella cheese made with buffalo milk, it’s a must for baked gnocchi alla sorrentina, I rather don’t make them at all. I know we live in Italy and it’s far easier for us to buy it. 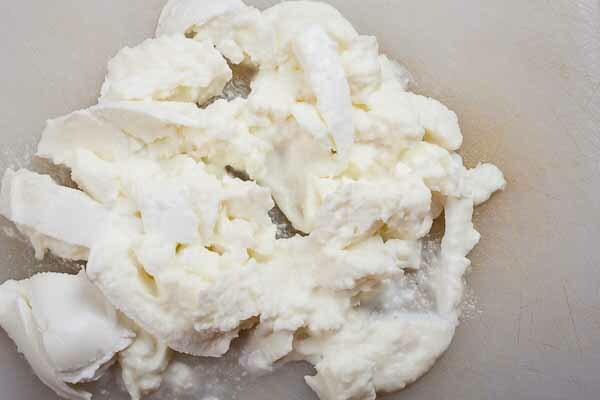 Anyway try at least to find some good kind of mozzarella if you can. 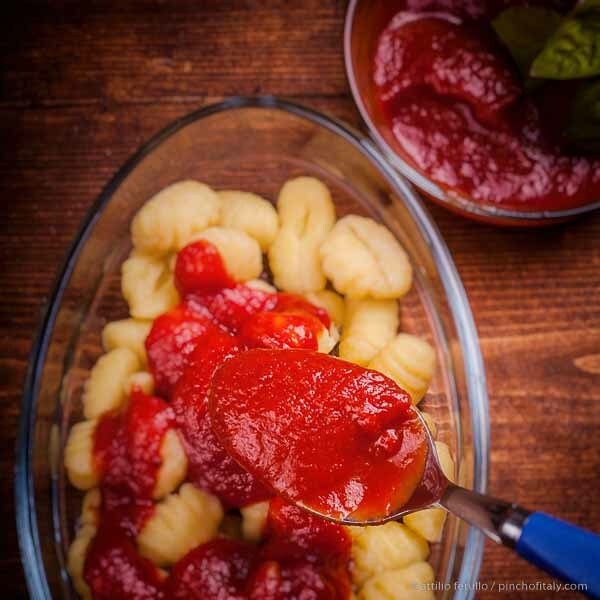 Well, you may not find this type of bottled tomato sauce where you live, sorry for that. 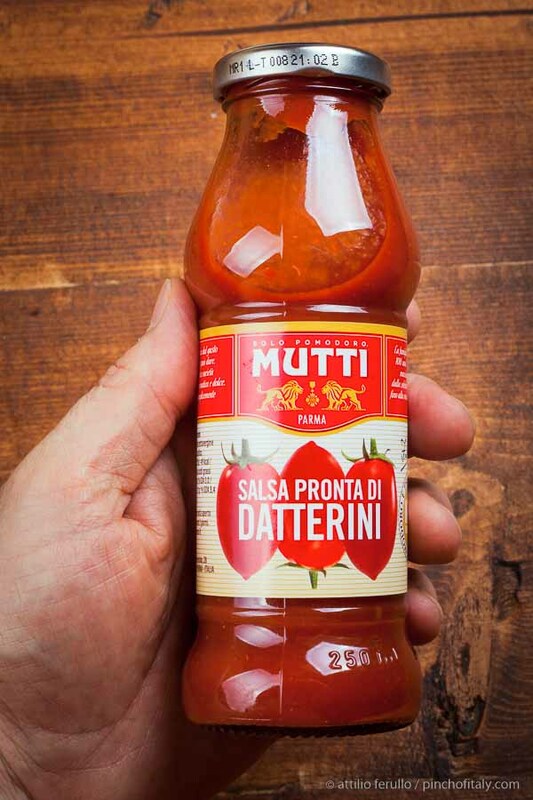 For us too was our first time we tried this new ready-made sauce from Mutti, the right moment arrived. These small date tomatoes are different from their brother cherry tomatoes, they have their unique lengthened shape with an unmistakable sweet taste and fleshy texture called in Italian “pomodori datterini”. 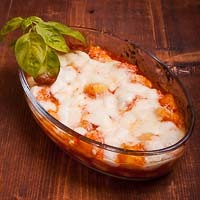 This made superb baked gnocchi alla sorrentina and definitely will make the base for other Italian recipes too. I will keep seasoning pasta with this ready-made sauce when I can’t make fresh tomato sauce. You see, it doesn't take much time, follow my pictures or jump directly to the written recipe.